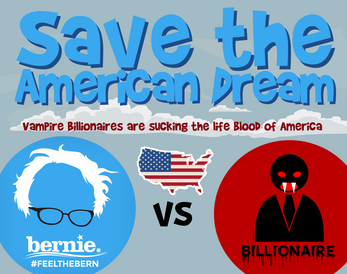 Vampire Billionaires are sucking the lifeblood of America. Help Bernie save the American dream! Please wait 20 seconds for game to load! Save the American Dream was made by 1984 games in 1 day as an educational prototype for persuasive game design. My score is 5300! I think it would be cool if the game gets harder the more you progress.